There are many pool companies in Las Vegas, but they are not all equal. At Las Vegas Pool Service, we strive to offer the best combination of value and customer service. 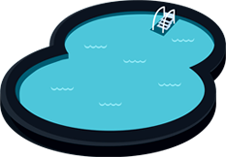 We proudly serve the Las Vegas and Henderson areas as a full-service pool cleaning company. We clean, maintain, and repair all types of residential and commercial pools and spas with a staff of fully trained technicians. Because pool maintenance can be a great deal of work, many homeowners in the Las Vegas Valley choose to outsource the job to pool cleaning professionals. We understand how quickly a pool can transform from a fun way to unwind to a chore or even an eyesore. We offer dedicated Las Vegas pool service to maintain the safety, beauty, and integrity of your pool so it’s ready whenever you are. There are many cut-rate pool service companies in Las Vegas as well as companies that want you to sign a long-commitment contract. We recommend considering the following when comparing Las Vegas pool service companies. 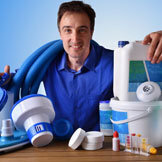 Experience is important in any industry, including pool cleaning and maintenance. Some pool service companies hire inexperienced technicians and provide them with only the most basic training before sending them out in the field. Make sure you are choosing a company that employs well-trained and experienced technicians who can spot and diagnose problems with your pool, ensure a safe balance of chemicals, and avoid damage to your pool’s equipment or lining. If you are considering weekly or monthly pool maintenance service, it’s important to choose a company you feel comfortable developing a relationship with. The pool company you choose will visit your home every week to vacuum the pool, monitor and adjust chemical levels, skim the surface, and maintain your pool equipment. Make sure you are comfortable welcoming the technicians into your home. Cost is a big factor in most decisions and it will definitely impact who you hire for pool cleaning services. Still, cost should not be your only consideration. Remember that a higher price will not guarantee better service, but a very low price is a sure sign of trouble. Companies that advertise the lowest rates may skimp on services, hire untrained technicians, or even skip your home on their weekly schedule. Good pool cleaning companies have a reputation in the area for expertise, customer service, and reliability. You can get testimonials from friends and neighbors, read online reviews, and conduct your own research to make sure you are working with a company that has a solid reputation. Las Vegas Pool Service is a full-service pool maintenance company in Las Vegas, Nevada. We offer a range of residential and commercial pool and spa services that include weekly and monthly pool cleaning, equipment maintenance, wall cleaning, drain and acid wash, and repairs. Why waste your weekends on pool maintenance? Las Vegas Pool Service can handle everything from skimming and vacuuming to brushing the walls of your pool, checking and balancing chemicals, shocking, cleaning the filters, and maintaining your pool heater and pump. Depending on the schedule you choose, we can arrive at your home weekly to make sure your pool remains in pristine, safe condition and ready for your next dip. 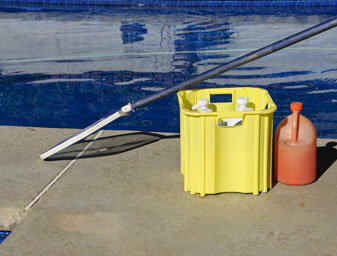 Your pool cleaning service can be customized with the services you want for cost-effective maintenance. If your pool is green, slimy, or you have algae growth that returns soon after you scrub it, your pool likely needs an acid wash, also called a drain and clean. An acid wash is the only way to restore your pool once it becomes a green “frog pond” and it involves draining the pool and scrubbing the walls thoroughly with acid. This treatment is recommended every 5-7 years, but it should only be used when necessary. An acid wash is the only way to remove algae spores that have burrowed deep into the plaster of your pool and continually rebloom. Along with weekly and monthly pool maintenance and acid wash service, Las Vegas Pool Service also offers reliable and cost-effective pool repairs. We repair many common pool problems like broken or loose plaster, tile damage, pump motor failure, leaks, and clogged main drains. At Las Vegas Pool Service, we take pride in offering the best possible pool service in Las Vegas and Henderson, Nevada. If you are in need of quality weekly pool cleaning, repairs, or a drain and clean, contact us today to schedule your appointment with our pool technicians. How Often Do You Show Up? We will arrive at your home based on a schedule of your choosing. Most clients choose weekly pool cleaning service which ensures your pool is always in good condition to take a swim. We can also perform monthly services that include chemical checks and adjustments, filter cleaning, equipment maintenance, and a check of your heater and pump. With Las Vegas Pool Service your mind can rest at ease as we gurantee our professional and reliable service. At Las Vegas Pool Service, our employees will make sure every pool is as clean as it can possible be. Every one of our highly trained employees is dedicated to showing up on time and getting the job done with the best results. 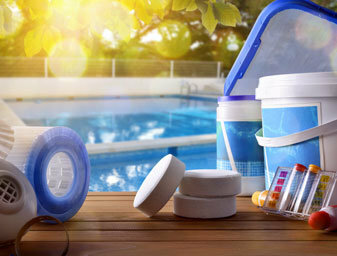 Having a reliable pool cleaning company can set the table for a great pool season. Aside from the obvious cosmetic benefits, investing in pool maintenance is crucial to ensuring the longevity of your pool. Pool Service Las Vegas has a reputation for excellence. 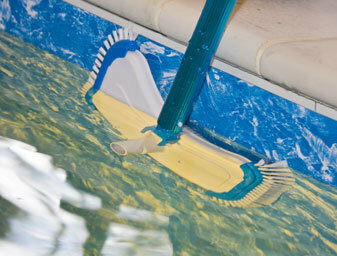 We are trained on what to look for and the remedy to each pool situation. We are a third party referral company, all referrals are forwarded to a pool cleaning company in Las Vegas.